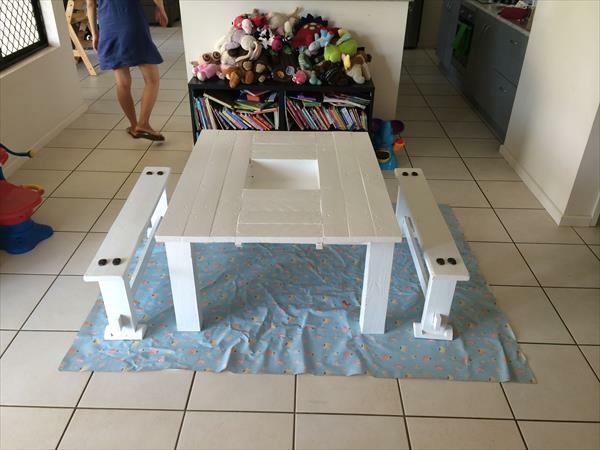 Built this table for my 3 yr old as she seems to make a huge amount of mess! The storage box in the middle is perfect for her to keep her pens and pencils. The white paint makes it easier to keep clean and wash the paint off…Keeps her and her friends busy for hours! The stools are quite simple, the bolts on top are old rail way sleeper bolts.